Problem behaviors in the classroom can be a challenge for teachers and administrators no matter what age group you’re working with. The difficult and disruptive behavior some students engage in can take a wide variety of forms and require a robust set of skills to deal with them effectively. Unfortunately, some children come to school with the burden of emotional distress that comes with the life challenges their families may be facing. But matching behavior problems with effective, kind, and appropriate interventions can be done readily with a careful exploration of the learning environment and discover possible triggers for the unwanted behavior. 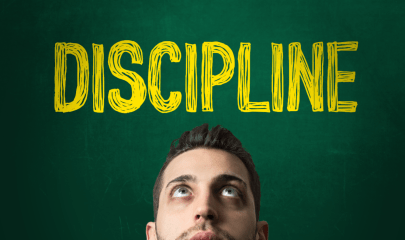 Handling disciplinary processes with a restorative approach can go a long ways in ensuring that the behavior doesn’t repeat, and the root cause it addressed. 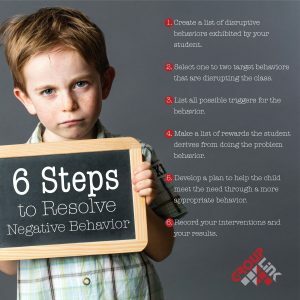 By following these 6 proven steps, you will gain valuable clarity into the nature of the cause of the disruptive behavior and help both yourself and your students maintain a high-quality learning environment for everyone. It could be helpful for you to select a test case from your class before you read the following tips and steps. This will enable you to think about how you will apply them in a realistic and meaningful way. Description of the behavior and their frequency will be the baseline from which you will judge your progress as you work to improve them. Does the child involved have trouble dealing with any specific individuals? Using a incident tracking system that can generate reports based on where and when the most incidents occur surround certain students can make this process simple and efficient. 4. Make a list of possible and likely rewards the student derives from doing the problem behavior. Every behavior has a motivation behind it. Problem behaviors often seem to have no underlying reason to those observing them, but the child certainly is getting a mental or emotional reward for doing the behavior. 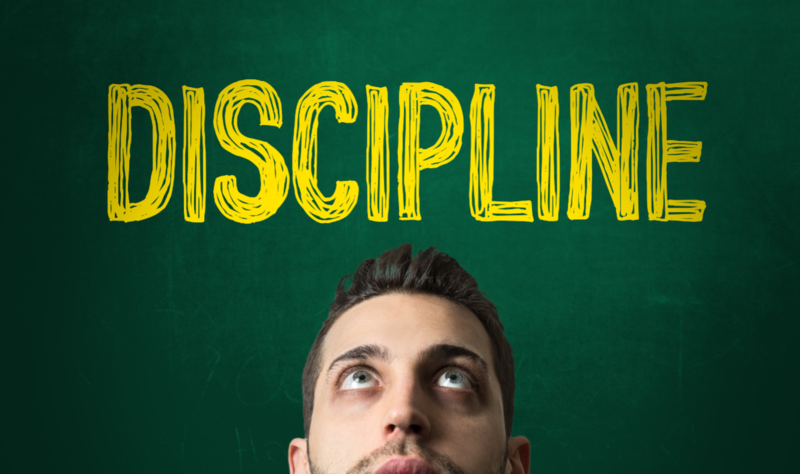 Here is a list of common motivating factors for disruptive behavior. After you have identified one or more possible motivations for the unwanted behavior, brainstorm ideas on particular reasons that these motivations seem to apply to the student in question. For example, a student who takes things (toys, food) from other students may wish to be seen as a part of the group that enjoys certain popular items. Or, a student with poor learning abilities may be trying to avoid her or his learning difficulty being discovered by peers. 5. Develop a plan to help the child meet the need through a more appropriate behavior. This can involve helping them to replace the behavior with a more acceptable (possibly more rewarding) alternative to the problematic behavior. Here are some common examples of ways you can help a student find better ways to have their emotional needs met. Behaviors that help the child to gain your attention, can be approached by spending extra time with the student. Establish a consequence for the unwanted behavior, and follow through by giving them a little more of your time. Behaviors that help students avoid work can be approached by attaching an additional reward to accomplishing the work. To address behaviors that help the student avoid work resulting from a fear of failure you may teach the student to use positive self-talk and explain to them that everyone makes mistakes- even the best students. You may begin by accepting assignments that are only partially completed for a period of time. Behaviors that help the child to gain your attention, (as an alternative to the first item on this list), consider using limited planned ignoring for bad attention getting behavior, and give more attention for good behavior. If the child is performing the behavior to avoid work due to inadequate learning abilities, you should consider looking into helping them obtain extra tutoring. Behaviors done to gain a feeling of control or power can be approached by encouraging the child to learn positive leadership skills, or by offering them more choices in activities whenever possible. If the behavior is done to gain attention from the child’s peers, strive to teach them more appropriate ways and times to seek the attention they crave. By now, you’ve done a fair amount of observation and work in order to help your students enjoy a more conducive learning environment. After a short period of time implementing your new methods, begin to record the frequency of the undesirable behaviors as well as their desirable alternative behaviors. Sometimes, even the best methods can temporarily cause a spike in the unwanted behavior. This is not always a bad sign, but can be understandably frustrating. Keep in mind that this may sometimes be a positive indication, (and don’t lose heart!). Monitor and make a record of the individual progress, both good and bad. Their are student behavior and incident tracking systems available that will make recording incidents simple and efficient while providing powerful reporting and trend analysis tools to track your progress and areas of improvement. Over time, you should see disruptive behaviors begin to decrease, and positive alternative behaviors increase. If the frequency of desired and undesired behavior do not go the way you hope, don’t get discouraged, you have a system now in place to try another method, record the progress, and again analyze it’s success. Over the course of a school year, expect positive results from your intervention program- and once you achieve measurable results- you can be sure that student achievement and classroom productivity will also improve. For more information and assistance on how you can record and monitor student behaviors making your school a safer learning environment contact us today.